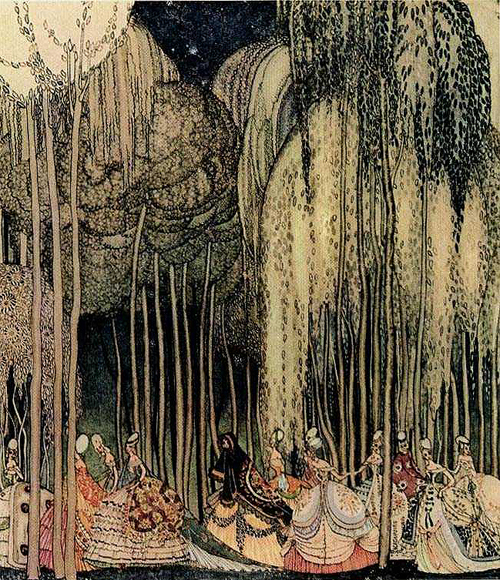 The “Golden Age of Illustration”—from the late 1800s until the end of World War I—saw the rise of iconic artists including Arthur Rackham, Aubrey Beardsley, Ivan Bilibin, and Sir John Tenniel. 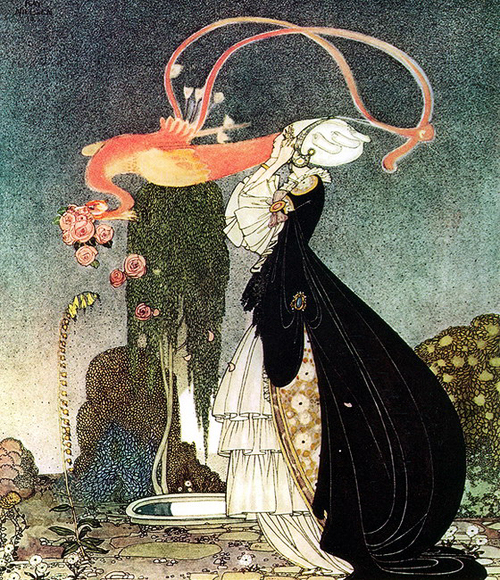 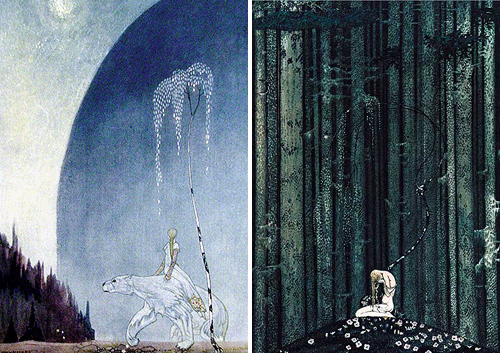 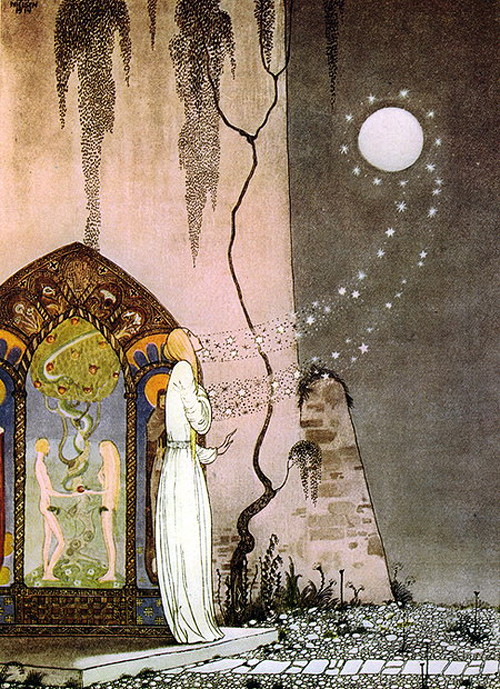 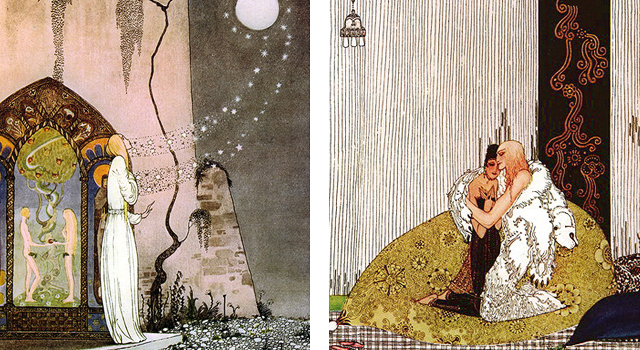 One of my favorite artists from this period is Danish illustrator Kay Nielsen. 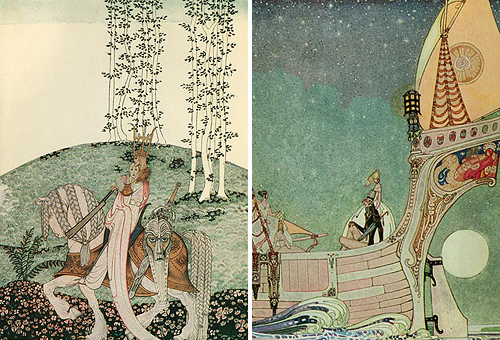 Nielsen’s dreamy images feel very modern, blending traditional European illustration vocabulary with a strong graphic design sensibility, Art Nouveau style, and Middle Eastern and Asian influences. 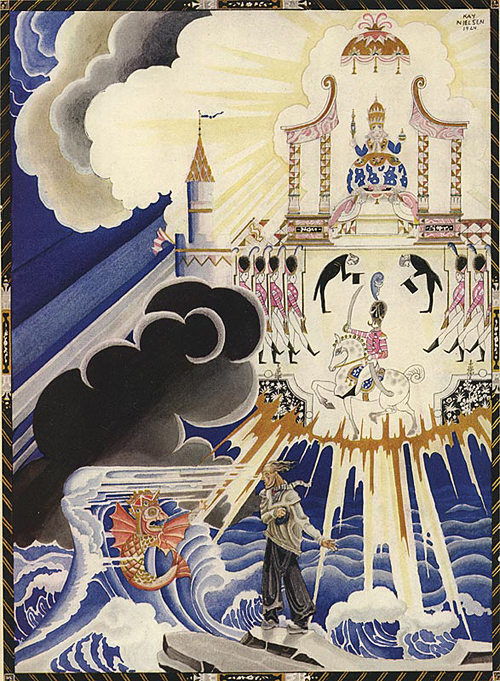 Nielsen achieved a degree of success with the books “The Twelve Dancing Princesses” and “East of the Sun West of the Moon,” and worked for Disney in the 40s (his work is featured in the “Ave Maria” and “Night on Bald Mountain” stories in Fantasia). 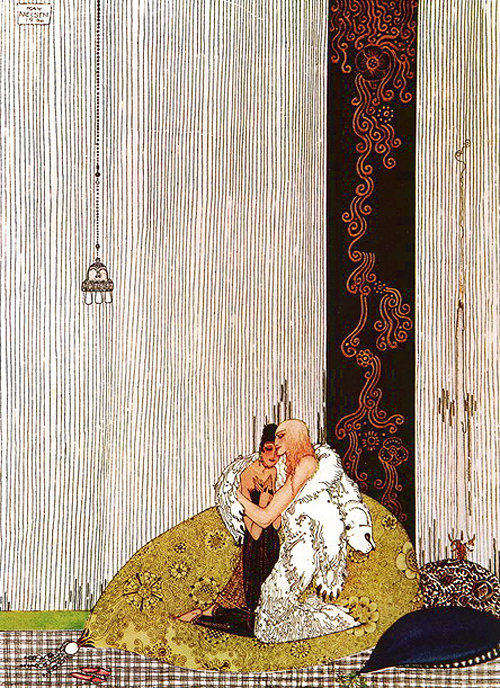 Tragically, his later years were spent in poverty. 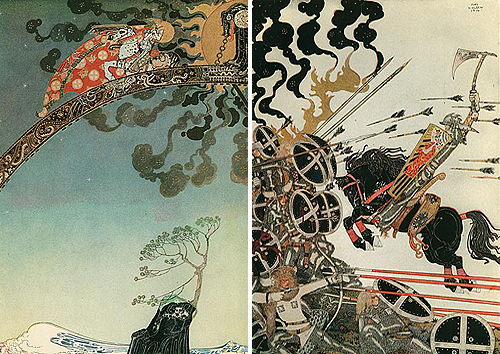 Some of my favorite Nielsen illustrations are below; see the end of the post for links to more of his work. 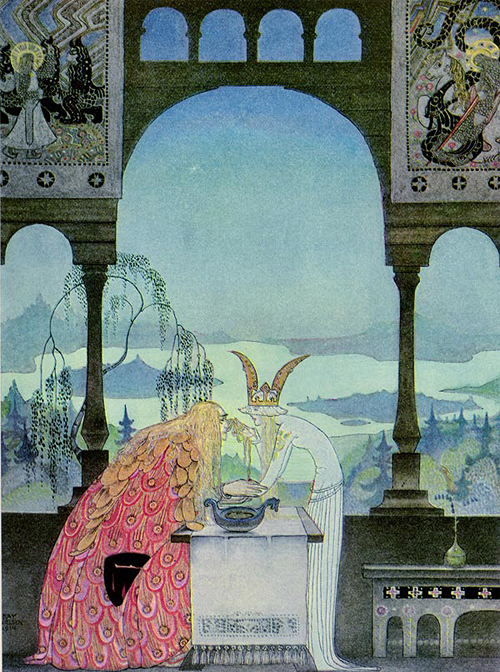 For more of Nielsen’s work, see here, here, and here.